Pros- clean and nicely decorated hotel. Con-No frig in the room for the beer. Everything was great except for that our room was very close to the source of constant sirens. So it might impact your sleep depending on what kind of sleeper you are. They advertise free breakfast which cost us 50.00. There were no gambling facilities which they advertise! Our bathroom shower walls were filthy and our room smelled od cigerette smoke! We will Never visit that hotel again! The staff did very little to accomidate us during our stay! We had to use public transportation (taxi) to go to our destinations! The location is easy access, with free parking which is good. However, the hotel suppose include breakfast, but need to sign the bills everyday, as the last day I have to rush to the airport and they charged me the breakfast when I review the bill via email, I tried to call them (they only allow me to call their account during office hour, no email available 😓), it's hard to reach them as I am in Hong Kong with the time difference..... I tried to call and leave message, it's still outstanding..... the front desk didn't offer to help. 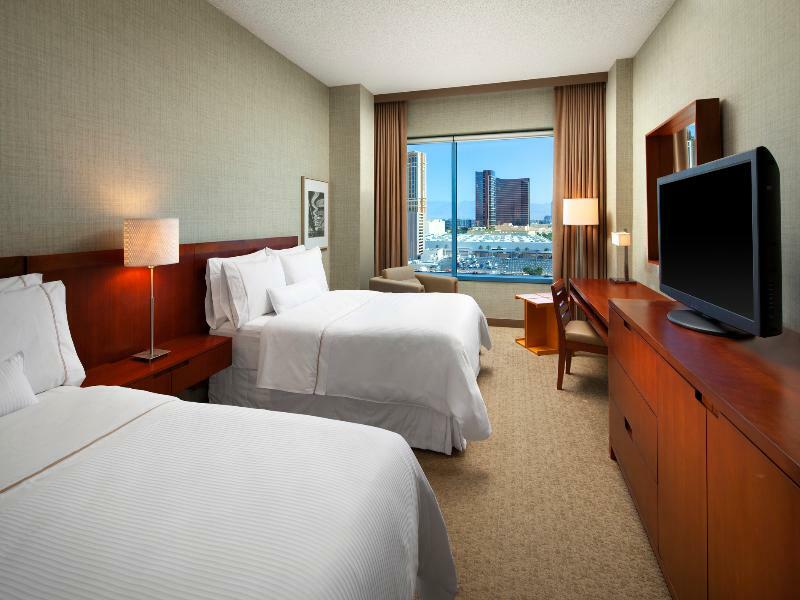 The Westin is a basic business Hotel with nice amenities for the price. We booked an amazing deal on Agoba so the hotel was a great value. We had a queen double room with plenty of space. There were four of us staying in there and we never felt cramped! The bathroom had a great mirror with a little magnifying mirror on the side that was very useful. The downstairs casino was very convenient and just the right size. We went to the pool often and it was a little crowded in the afternoons so get there early to get a spot in the shade! The Westin was great, however when we first checked in they didn't honor the "third-party" booking. Instead of two bedroom they gave us a king with a pull out. They said they would check the next day if they had any other room available but that would have meant checking out by 11am and checking out bags until 3pm check in. That would've been too inconvenient so we kept the king room instead. They did place us in an upper level with a great view. That did make up for the issue. I stay there for 8 days to attend congress in that hotel it is very nice hotel near airport and center of the towen . We were unable to check in at the time stated on the website/ email. Advised to wait and would be notified via email or phone. Did not receive an email as told. when asked for a time frame, were unable to tell us anything other then "it's going to be a while" No hot water in shower either. In town for business and this hotel was perfect for that. 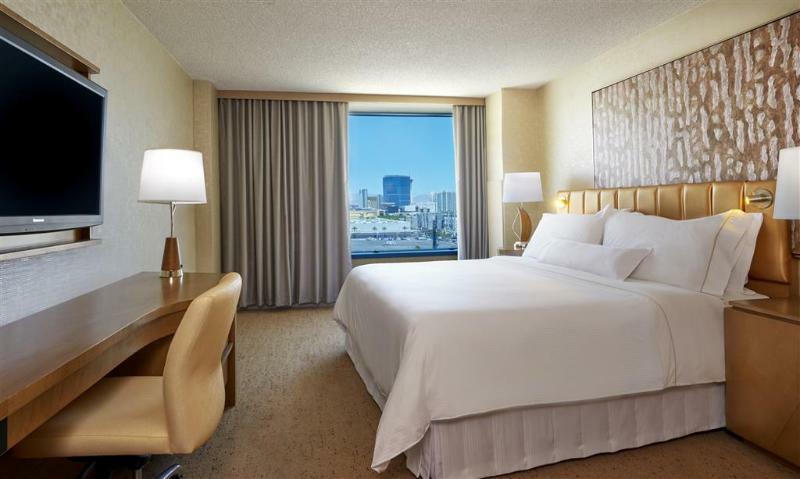 Close enough to the strip yet easy to get from your room to the meeting rooms. In some of the tourist hotels you have to walk hundreds weaving around in a casino just to get to your meetings or the workout room in the morning. Everything at the Westin is quick and efficient. When you work on the road the other tow great things about this stay are the room pillows! And the 6pm-7pm happy hour! The hotel was nice and spacious. Requested a baby cot but it was those metal bar type and did not have the bumper cushions as the hotel was concerned about suffocation issues. Hence, we used the mattress plus our own portable cot. Simple and friendly casino downstairs which was nice. Breakfast was continental for SPG Platinum members and more than sufficient. The upgrade to full buffet was about USD12 per head. 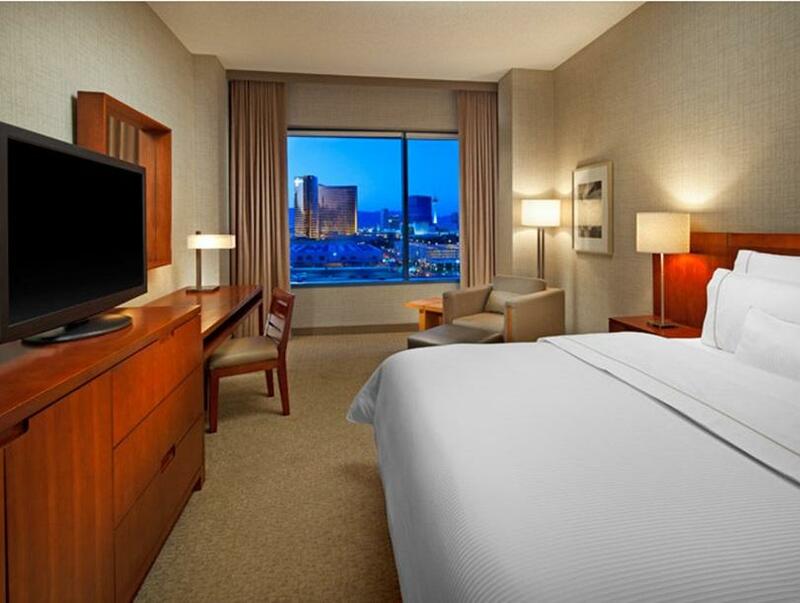 สถานีรถไฟโมโนเรล MGM Grand - ระยะ 1.38 กม.